Emphysema/COPD - Emphysema is a Chronic Obstructive Pulmonary Disease (COPD). Most often the disease is contracted due to long term exposure to cigarette smoke. Other causes can be exposure to toxic chemicals or alpha 1 antitrypsin deficiency. Symptoms of emphysema include but are not limited to chronic coughing and sputum production, shortness of breath an expanded chest and wheezing. 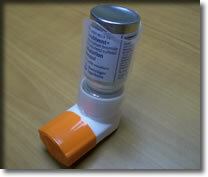 Many classes of medications are used to treat emphysema for long term and short term symptom relief. Emphysema is a very debilitating disease and can lower quality of life for sufferers. Physicians and Sponsors are constantly striving to develop better treatment of this disease and CARE Clinical Research is currently enrolling patients to study investigational medications for Emphysema/COPD today. Please view our emphysema primer to learn more and then contact us about these important new studies.